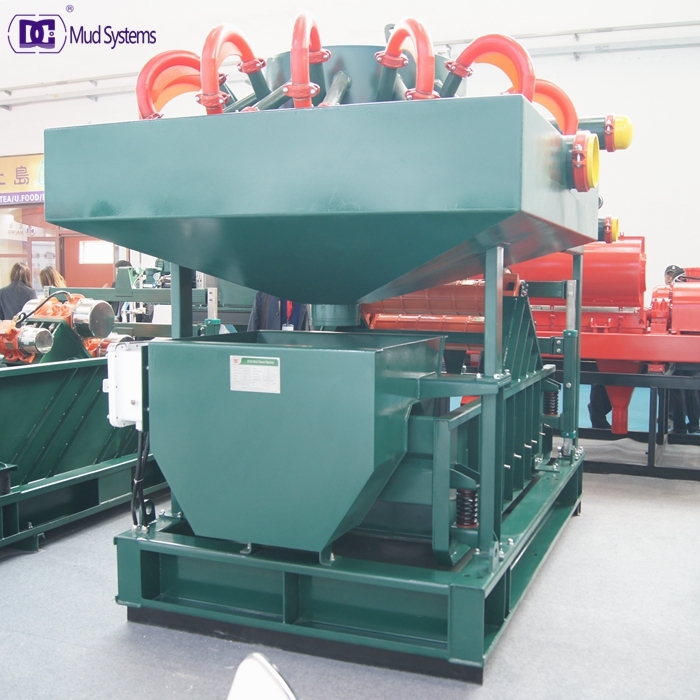 Mud cleaners are two-stage solids control equipment that are composed of several hydrocyclones mounted over a vibrating screen, known as a shale shaker. Mud cleaners are used to remove solids from drilling fluid and act as 2nd and 3rd phase solids control equipment. feeder box with inlet connection locates on back 10″,1MPa flange. Desander cones are 10″ or 12″ hydraulic cones and manifold which are made of high-chromium iron while desiter cones are 4″ or 5″ hydraulic cones and manifold of polyurethane. Convenient dismantlement and transportation of two parts. 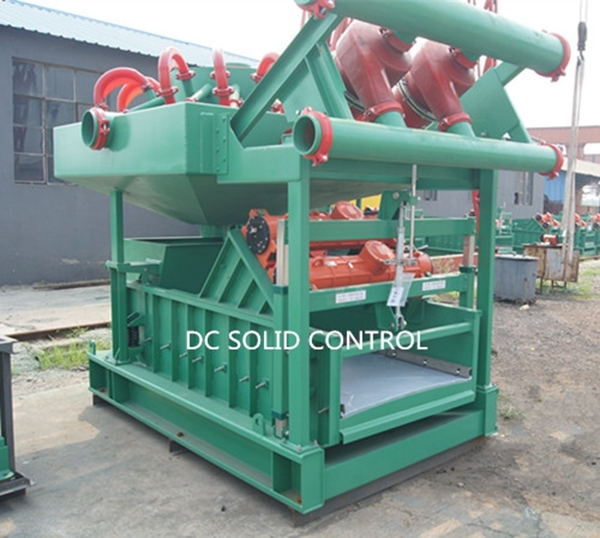 DC Solid control is a professional manufacturer of mud cleaner for more than 10 years. We have rich experience in design and manufacture all kinds of mud cleaners. Please let me know your required treating capacity of mud cleaners, or shake types, we can proposed you a durable and lower maintenance cost mud cleaner for you. Usually, mud cleaner is the second stage equipment of whole solid control system. With the combination of a desander and desilter mounted over a powerful multi-functional shale shaker, DC Solid control’s line of mud cleaners offer both high performance and versatility for the operator. The underflow screen is like having another shale shaker which receives the waste from the cyclone nozzle for additional processing. This is positioned so that the mud cleaner can recover more of the drilling mud. 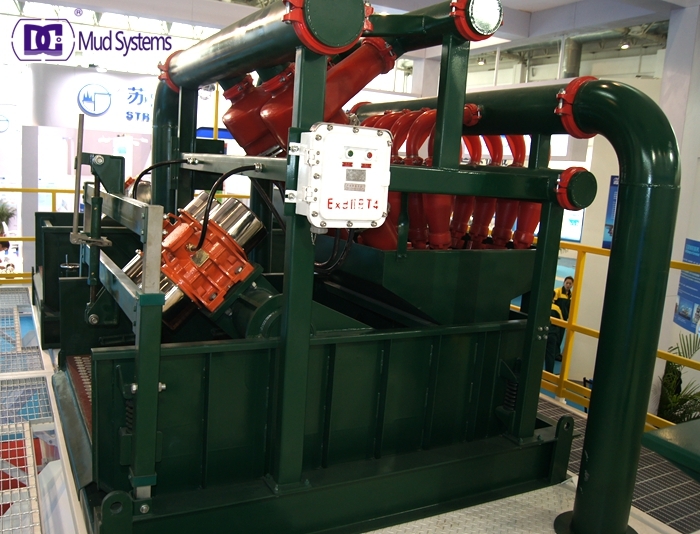 Our mud cleaner is the perfect piece of equipment in the second and third stage of the drilling mud treatment. This integration of advanced equipment puts forth a unit that can handle large volumes of circulating fluids and is able to retain fluid integrity. Features such as our wedge-lock fastening system, mud bypass gate, and explosion proof enclosures all allow for ease of use. Our pride is truly expressed in our work through our craftsmanship, research, design, and the overall practicality of our equipment.The mud cleaner is effective in processing both weighted and unweighted drilling mud during mud systems in removing and drying solids whilst retaining the expensive drilling liquid. Used correctly the drilling mud cleaner would lower both drilling-fluid and disposal costs. 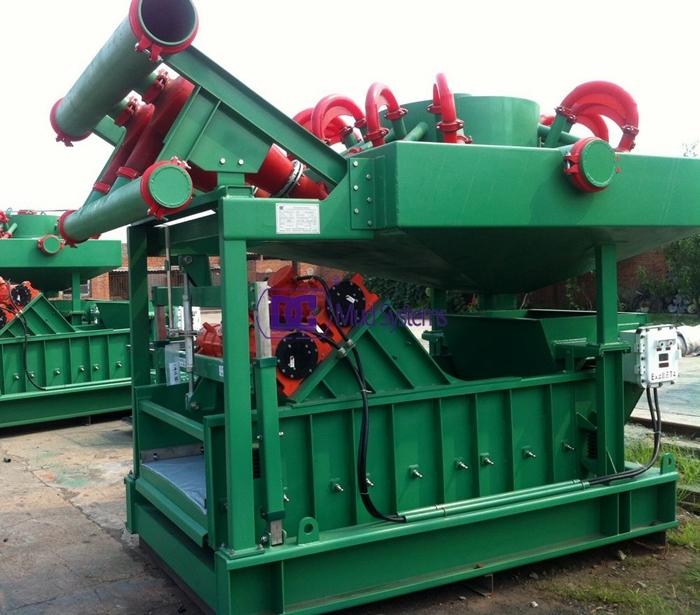 Mud cleaners are the two-stage solids control equipment that are composed of several hydrocyclones mounted over a vibrating screen, known as a shale shaker. Mud cleaners are used to remove solids from drilling fluid and act as 2nd and 3rd phase solids control equipment. 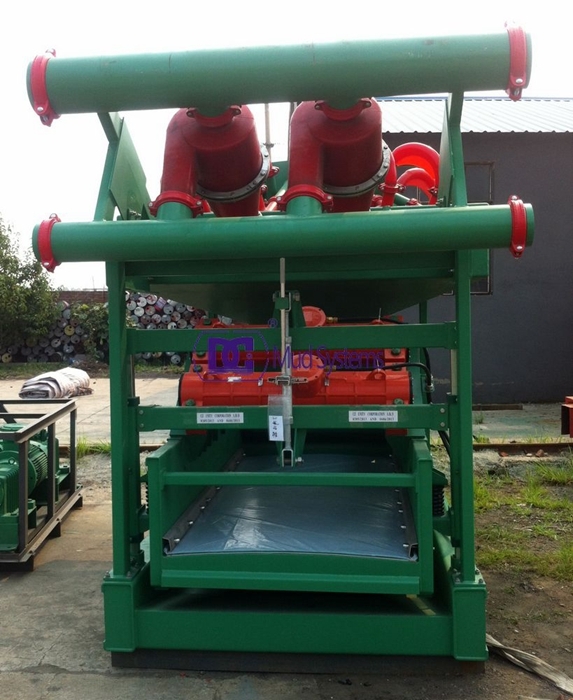 The vibrating screen of the shaker is sized for the specific drilling operation. Lighter mud with lower solids content would use a finer screen while drilling fluid with higher solids content, known as weighted mud, would use a slightly coarser screen in order to ensure that the weighted fillers are not filtered out of the mud. Mud cleaners are designed to improve mud pumping efficiency. DC Solid control mud cleaners are an efficient solids-fluids processing design. The DCQJ round and inline desilters are designed to remove silt-sized (20 to 74 microns) solids from drilling fluids. DC Solid control’s round desilters are simple to operate and easy to maintain. The round mud cleaners include 2ea 10′ desander hydrocyclone and 12 or 16ea 4″ hydrocyclones. The polyurethane hydrocyclone offers a high volume 4”and 10″ cone, while providing contractors an economical replacement for less efficient older equipment. DC’s expertly designed line of mud cleaners are a cost effective, reliable solution to removing sands and solids from contaminated water. All of our units utilize Polyurethane hydro-cyclones for solids separation. DC Solid control modular design practices and wide experience in the field of oil industry equipment will ensure short delivery times and problem free commissioning. Clever material selection and modern production facilities ensure that the mud cleaner combination can be easily and economically deployed. Desilter is a functional separation equipment for solid and water. 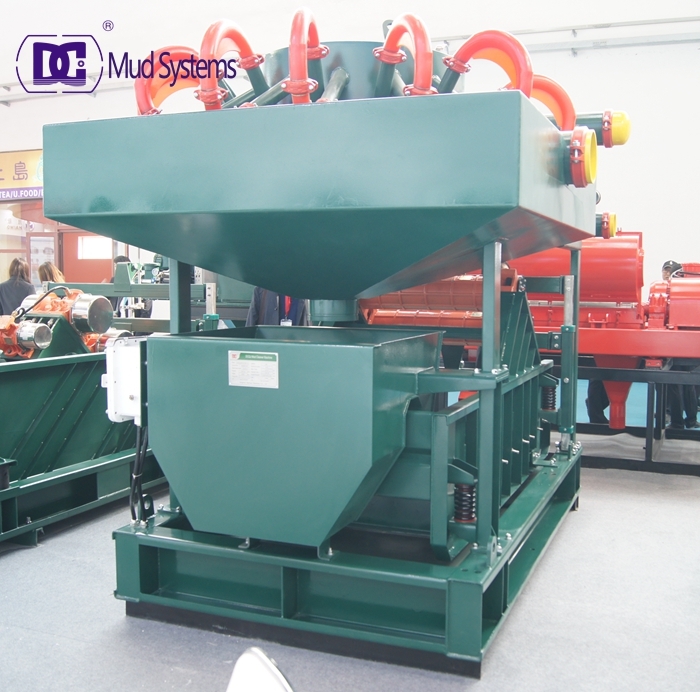 Usually, DC Solid control shipped hundereds desilters for building slurry separation. Yesterday, the desilter and related spare parts are shipped to the Beijing Air station. The inline desilters are designed to remove silt-sized (20 to 74 microns) solids from drilling fluids. DC’s round desilters are simple to operate and easy to maintain. Optional shutoff valves on each round desilter cone inlet permit individual cone removal and inspection without interrupting operation of the desilter. We are an exporter of drilling fluids desilter. Our factory approval the ISO, desilter have the API certification. DC Solids control is the designed, selling, production, service and delivery of Chinese based manufacturer. We will provide the high quality desilter and best service.Your best desilter start from DC solids control. 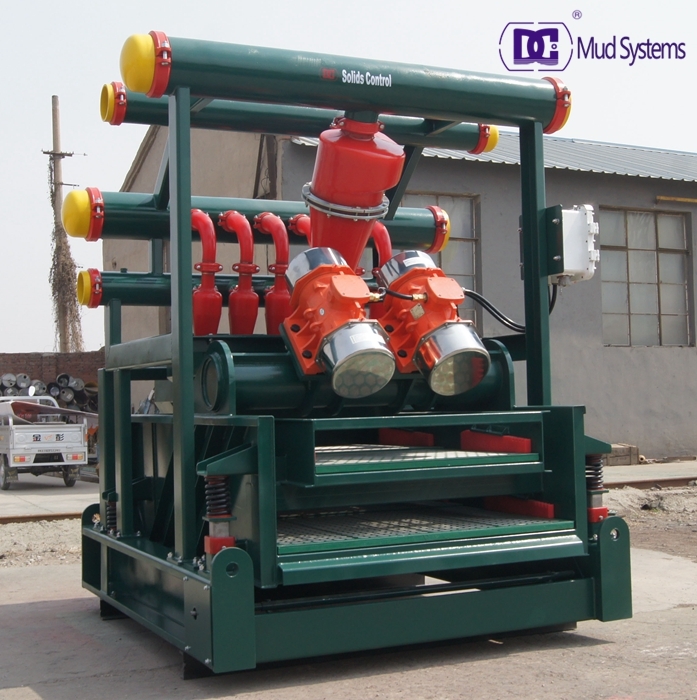 DCQJQ Series mud cleaners and are available in different configurations to meet customer requirements. 2-panel, 3-panel or 4-panel shakers are available with desanders and and/or high-volume desilters. Our new hydrocyclones technology replaces the conventional desanders and desilters cones with significant benefits. Now, DC solid control manufactured 2 sets mud cleaners for Bulgaria clients. 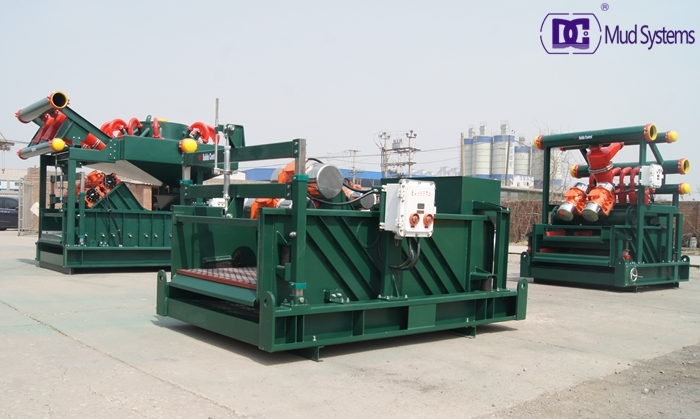 The mud cleaners model is QJ100x6/200×2. 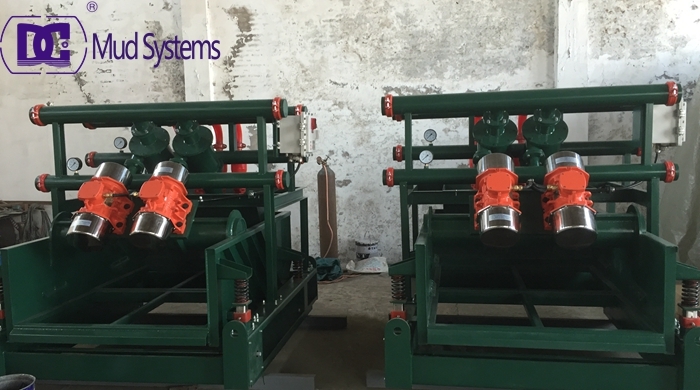 The mud cleaner combination consists of two sets of hydro cyclones: a desander to eliminate particles of 120 – 60 μ, and a desilter which eliminates particles smaller than 60 to 20 μ.
Mud cleaner is a normal model of our company,we can design customized cost-effective mud Cleaner for customers special needs.Our mud cleaner can meet almost all needs for oil & gas well drilling fluids treatment system and HDD Mud Recycling System. To be as a professional manufacturer of solid control equipment. DC solid control can design and manufacture many models and types mud cleaner. Such as linear motion, dual motion, 2, 3, and 4 pannel screens. The mud cleaners use a combination of desilting hydrocyclones and very fine mesh vibrating screens (120-400 mesh) to remove fine drilled solids while returning valuable mud additives and liquids back to the active mud system. DC’s mud cleaners are given a three-part coatings to maximize equipment life. Spare parts and consumables have been designed to ensure the lowest replacement cost & long-term product durability. 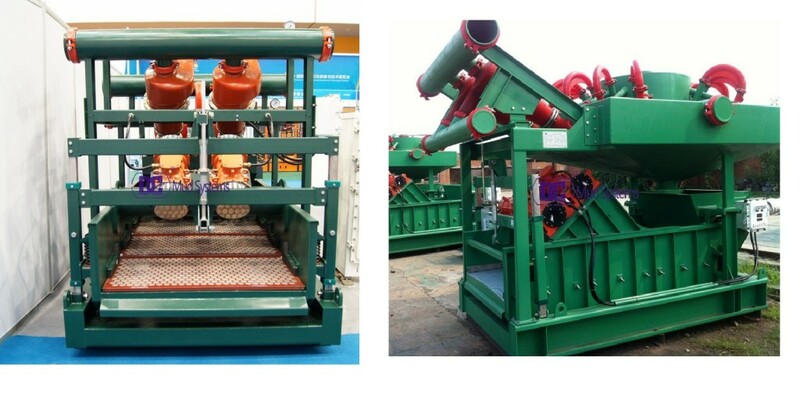 Hydrocyclone device number decided to productivity, and rotary flow quantity and size is the custom 4 “hydrocyclone desilter = 15 ~ 20 m3 / h, 10″ hydrocyclone desander= 90 ~ 120 m3 / h.
Mud Cleaner is the second phase or the third phase solids control equipment, and it is the combination of desander, desilter and underneath shale shaker, so it can be called Desander and Desilter. Traditional mud cleaners use multiple 4 or 5cyclones, mounted over a vibrating screen, and are able to effectively process 400-600 GPM. The process capacity is limited by screen capacity and its ability to discard dry solids. 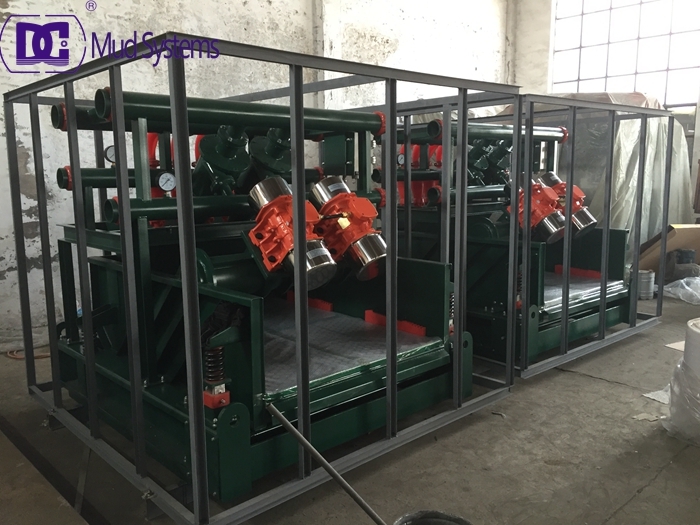 With the introduction of linear motion vibrating screens, the capacity of the mud cleaner screen has been greatly increased. 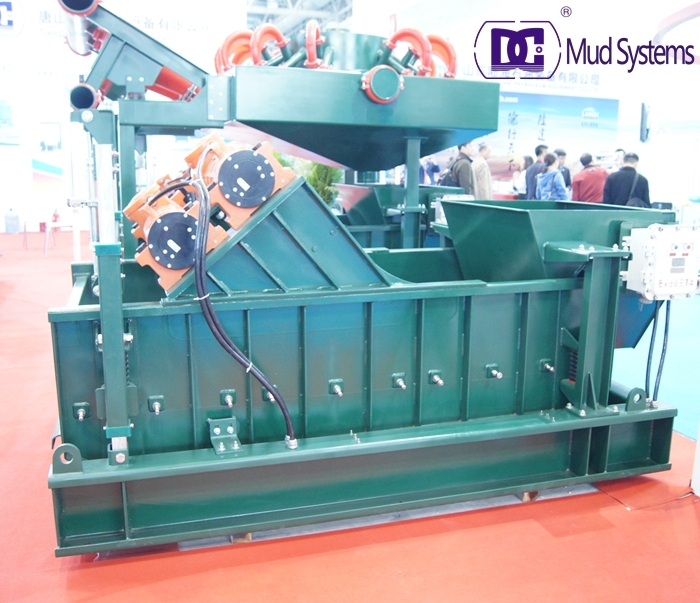 DC mud cleaner structure is compact, it occupy small space and the function is powerful. 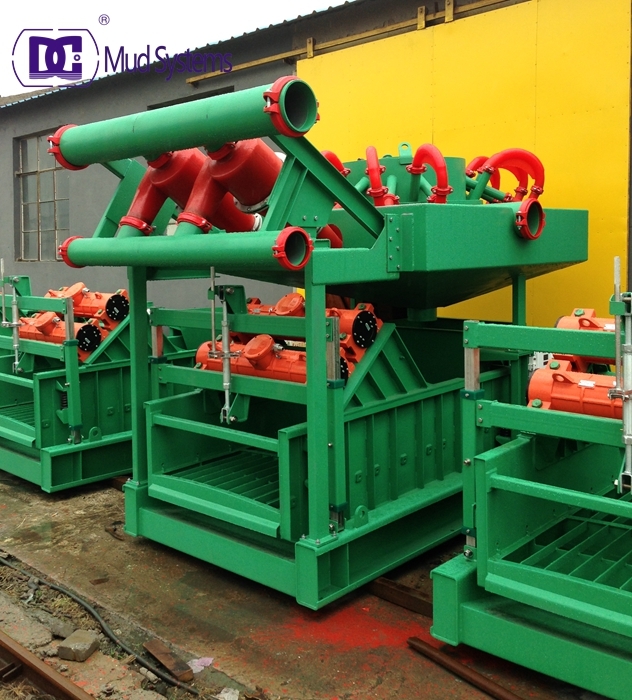 Mud cleaner is the ideal device of the second class and the third class solid control to treat the drilling mud. Contact us if you need mud cleaner or anyother solid control equipment. DC Solids Control operate waste mud management international sales,service,manufacturing,distribution service. Buy drilling mud cleaners from China manufacturer,good quality,best price.your best choice of drilling mud cleaner. 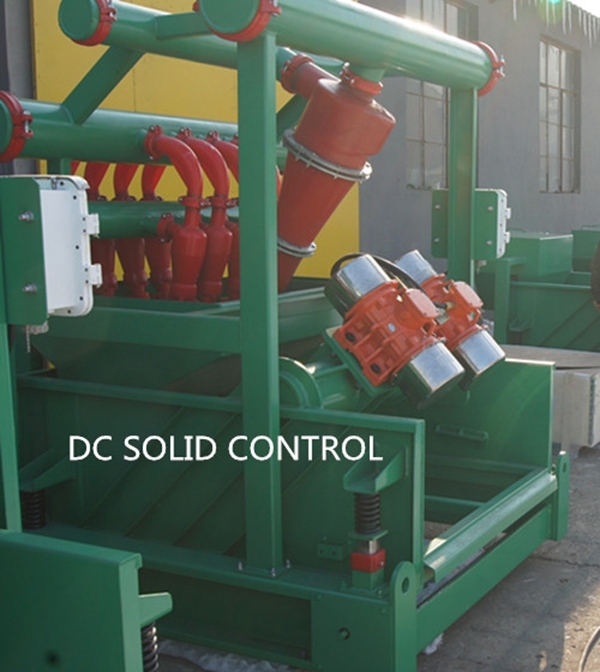 The mud cleaner combination consists of two sets of hydro cyclones: a desander to eliminate particles of 120 – 60 μ, and a desilter which eliminates particles smaller than 60 to 20 μ.
DC Solid control’s know-how and experience are essential elements in the quality and versatility of all DC solid control’s equipment, including this desilter / desander and shaker combination. 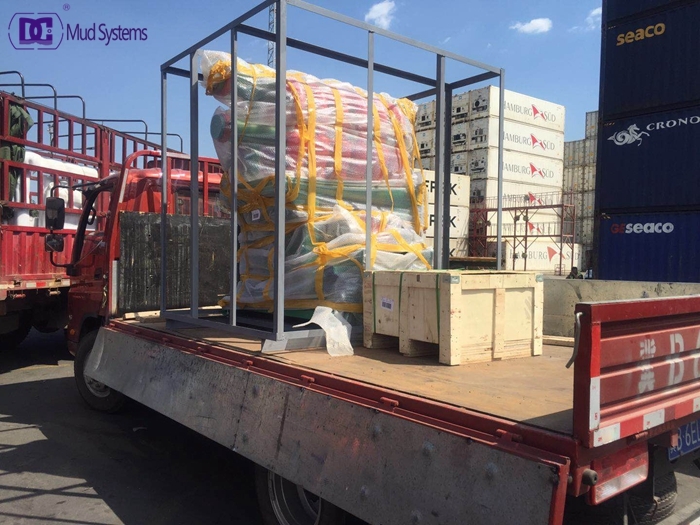 As all DC Solid control’s equipment, it can be delivered completely to your specifications; our modular design practices and wide experience in the field of oil industry equipment will ensure short delivery times and problem free commissioning. Clever material selection and modern production facilities ensure that the mud cleaner combination can be easily and economically deployed. If you have interest with our product, welcome to contact us.